Bangladesh is going to build one of the best stadiums in the world in Purbachal, and it will be named after Prime Minister Sheikh Hasina. Bangladesh Cricket Board president Nazmul Hassan disclosed this after the conclusion of the ICC Board meeting in Kolkata on Thursday. And this stadium will give a competition to the hallowed Eden Gardens, the largest cricket ground in the subcontinent, in two years' time. "We want this to become one of the best in the world. Let's hope for the best. It will be a centre of excellence," Hassan told PTI. The stadium will have the Centre of Excellence for cricket in Bangladesh and they are planning for a capacity of "at least 50,000". The Eden has a capacity of around 68,000 and the BCB is awaiting land allocation from the government. "We are waiting for the land, the earlier we get the faster it will be ready. If we get the land, then BCB will build the stadium on its own. 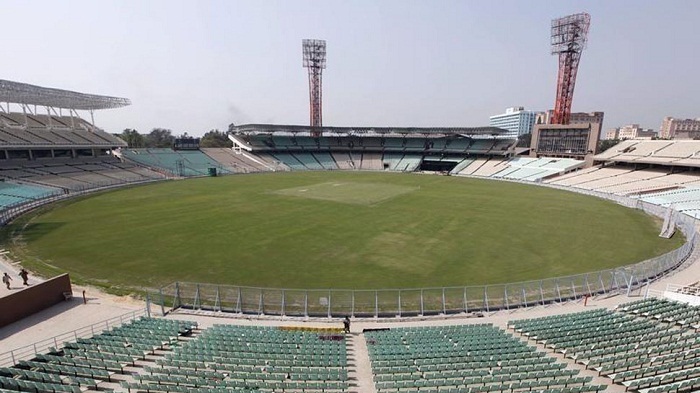 It will be the best venue ever in Bangladesh with a capacity of at least 50,000." "We hope to get it ready within a time frame of one and half years to maximum two years. It will be one of the most modern stadiums in the world." Asked whether the cricket centre will shift from Mirpur to Purbachal once the stadium is ready, he said: "It's not like that. We will have another option. Mirpur is very old, many things have changed. "It will be the most modern and that will be the major attraction. But at the same time matches will also happen in Mirpur." The BCB supremo said they would announce the coach within a fortnight's time while confirming that former India coach Gary Kirsten is on their radar. "Hopefully we will finalise in about 10-15 days' time. I will not disclose the names yet because they have commitments. It will be a two years' contract, whoever he is he will be with us at least till the World Cup." He further said they are looking for multiple coaches. "We are planning for multiple coaches and some of them may not be full-time. We are also in talks with Gary Kirsten." Bangladesh have played just one Test in India but there will be more in the next FTP, which was also submitted during the meeting. "We have matches with India. We just played one Test. There will be more matches with India. We always get India's support," he said. The BCB had slashed the number of centrally contracted players from 16 last year to 10 this year, following the team's mediocre performance in 2017 compared to the relative highs of 2015 and 2016. But Hassan said they will broaden their contract list, which could be till 50 with names like Mosaddek Hussain, Liton Das in the A list. "We have broadened the contract system. There won't be any fixed number of players in A list and like that. It will be on the basis of performance. Whoever does well, will be included in A list. "It was 16 before in the contract system. Now it could be 50. It's open but now it depends purely on performance. Some players like Mosaddek Hussain, Liton Das can get into A list," he concluded.